SayUncle has a link to some very interesting proceedings on the Firearms Registration and Transfer Record, which is the database of all the Title II firearms that are circulating in the country. You know one way they could clean up the database? Have a general amnesty. It’s within the Attorney General’s powers to do this. 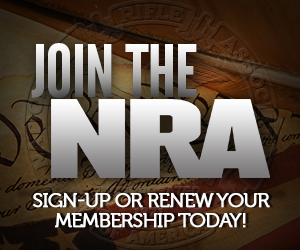 Advertise that anyone with an NFA firearm can either confirm they have an existing NFA firearm in the NFRTR, or if it’s absent, be able to register it. Sounds fair to me. Interpol to Establish Arms Tracing System? “Shall not be infringed” does not allow for “reasonable infringements”. All gun registration and restrictions are unconstitutional. I might support an amnesty for those who have been enforcing these unconstitutional gun laws, though. That’s all well and good, but until you get the courts to agree with you, it’s academic. When I am taken to Court, I will attempt just that. Meanwhile, I will try to get my fellow citizens to agree with me. What I won’t do is waste my time trying to judge the merits of laws that are in violation of the Constitution to start with. That only distracts from the purpose of restoring the Constitution and lends an air of legitimacy to said unconstitutional laws. I learned that at the academy.